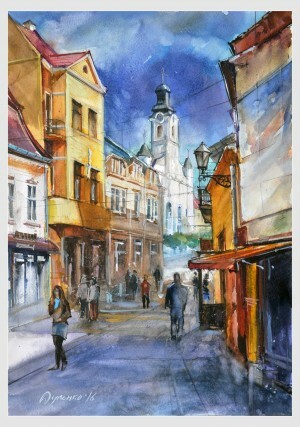 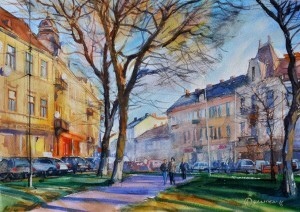 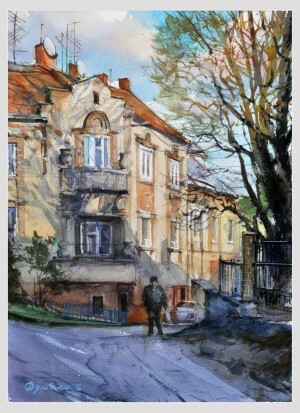 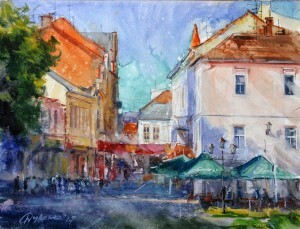 Art exhibition of Yaroslav Dulenko under the title "Watercolour scenes of Uzhhorod" was opened in the Art Salon "ART PRO". 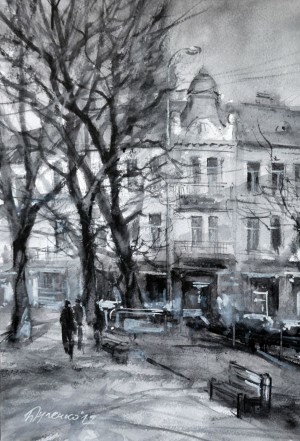 There are about two dozen works, which were created by the author in recent years. 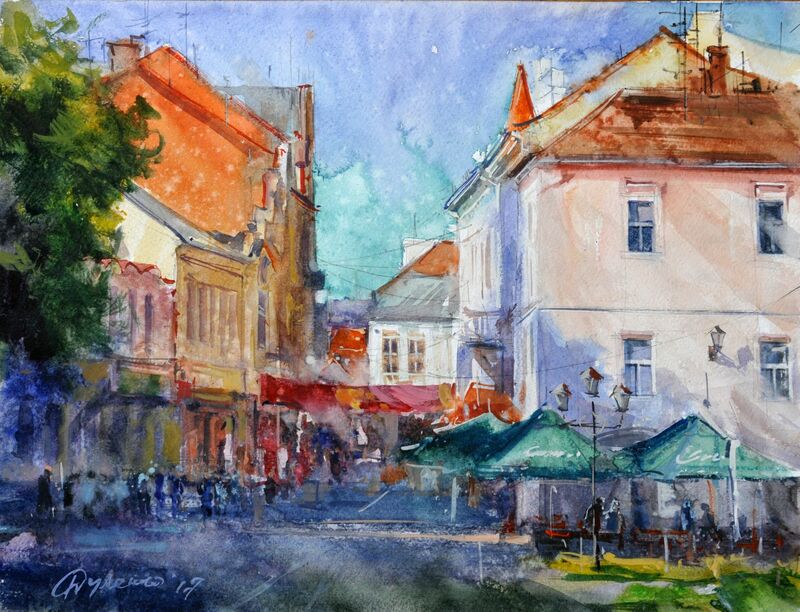 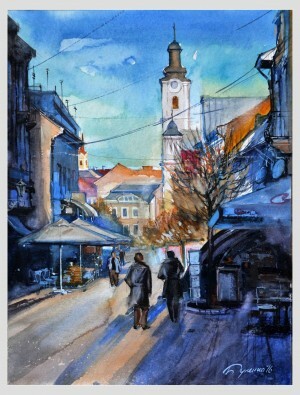 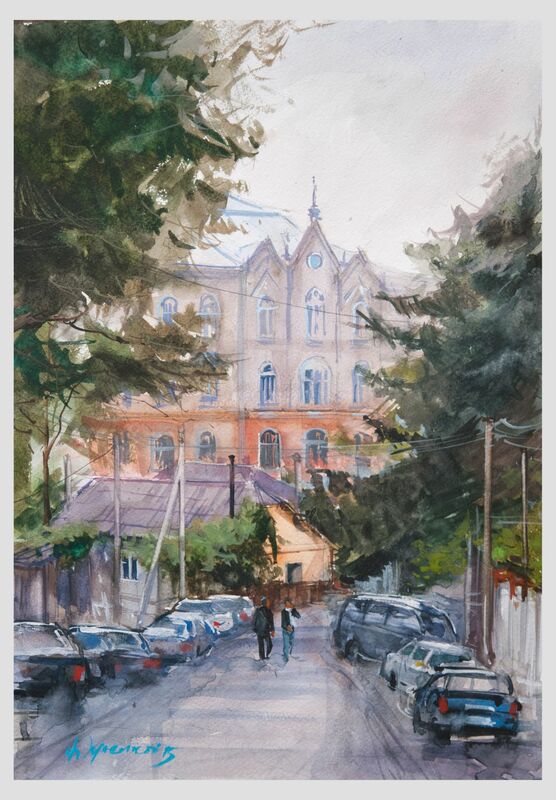 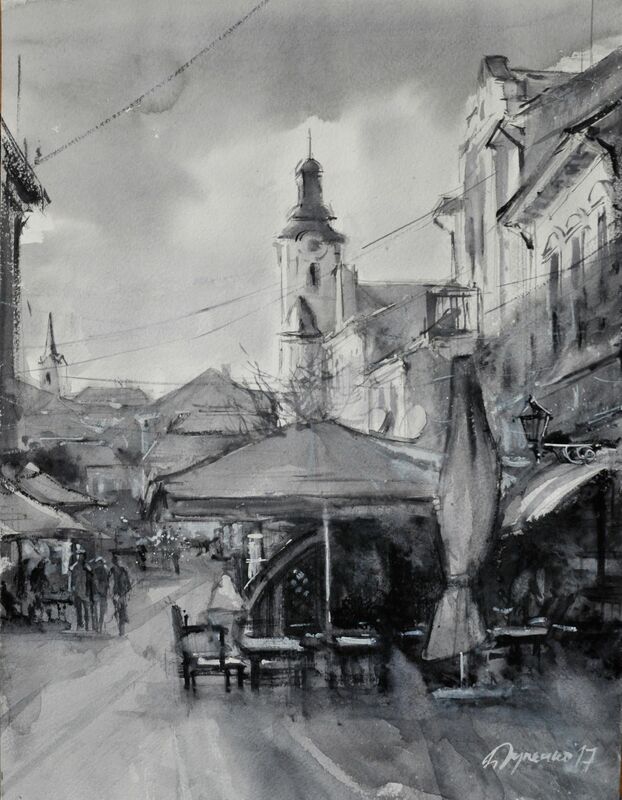 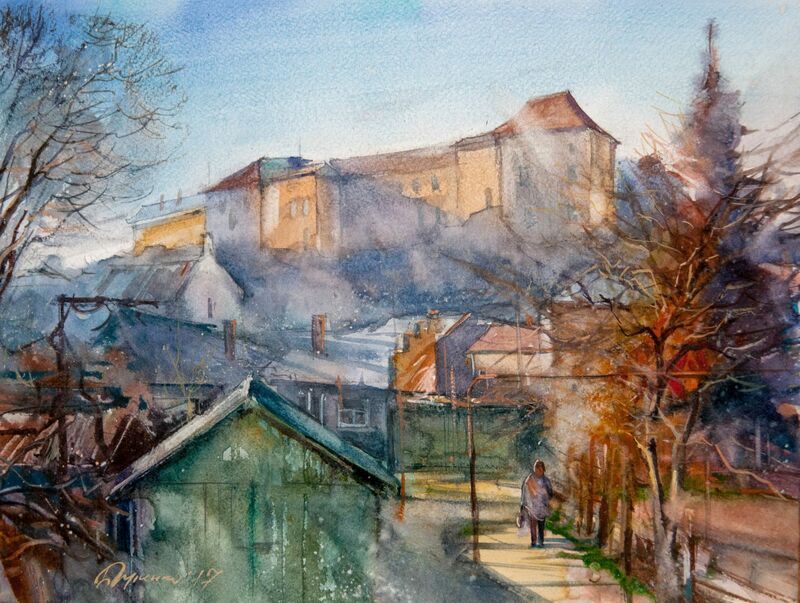 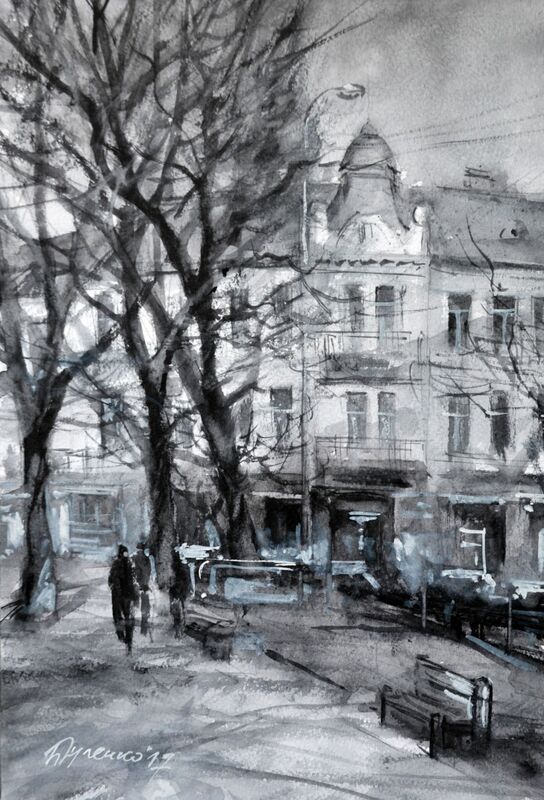 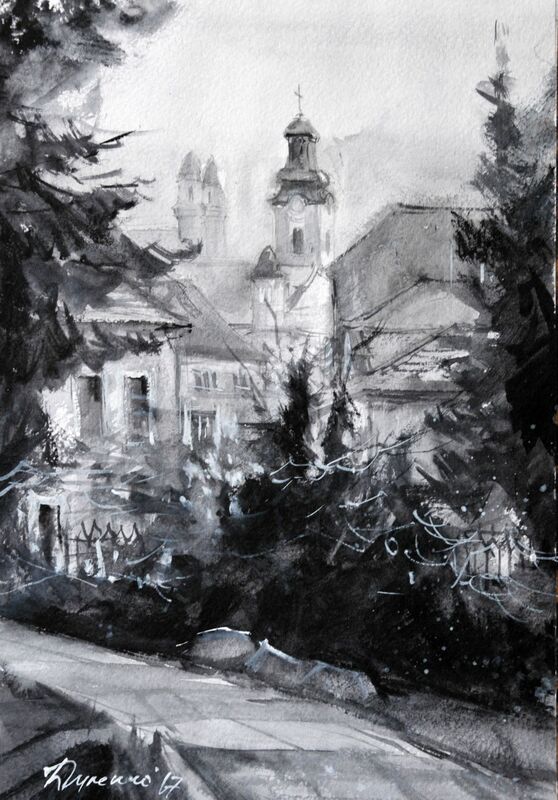 Beautiful, old, warm as in summer, washed by autumn rains and covered with the first snow – that is the regional centre Transcarpathia in the watercolour series of the artist. The author is in love with the city and cityscapes seem to come to life in front of the viewer - narrow ancient streets, cosy cafes in narrow courtyards, majestic churches and architectural monuments. All watercolours are made carefully and at the same time it feels that they are painted literally in one moment, in one breath by the technique "a la prima". 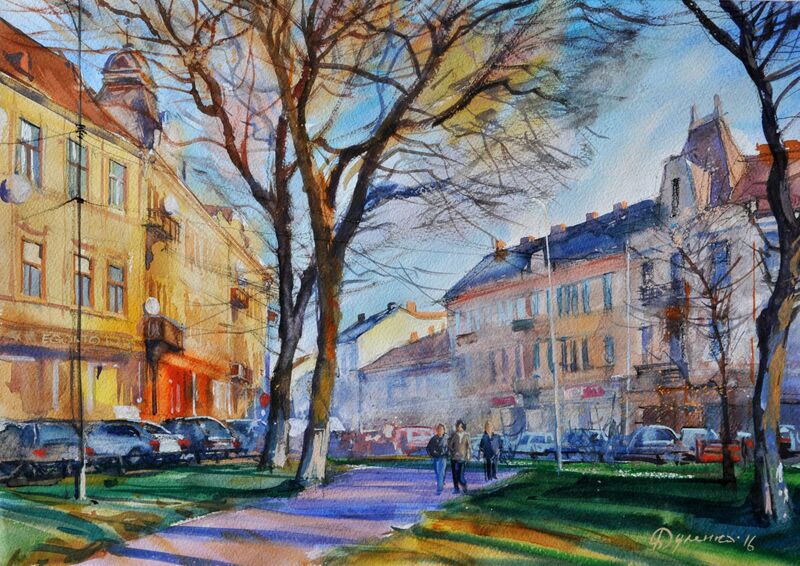 People's Artist of Ukraine Vasyl Skakandii highly appreciated the exposition. 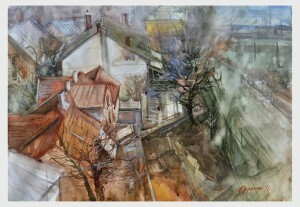 “The exhibition was successful,” - the famous painter noted. 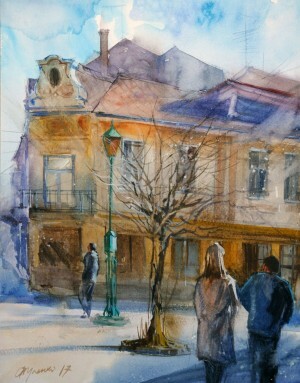 - There are a few artists, frankly speaking, working in watercolours. 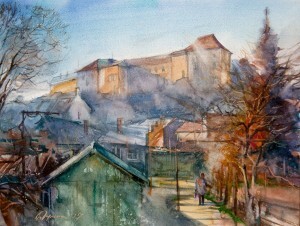 The majority tends to canvas, painting, oil ...And what about watercolour… Sometimes you can even hear: well, some watercolour ... And it turns out to be okay, but it's not the main thing... That’s why, in my opinion, we had not such attention and respect for watercolours before.” Vasyl Skakandii voiced the idea that the Regional Union of Artists of Transcarpathia plans to realize in October this year: opening of the first watercolour exhibition in retrospect. It is assumed that the works of the founders of the Transcarpathian school of painting - Fedir Manailo, Andrii Kotska, Vilmosh Berets, Volodymyr Mykyta – as well as the works of today's generation of artists working in watercolour technique will be presented there. 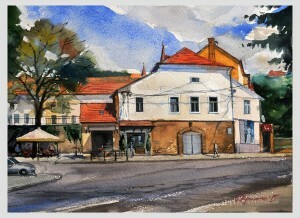 “Such an exhibition will draw attention to watercolours. 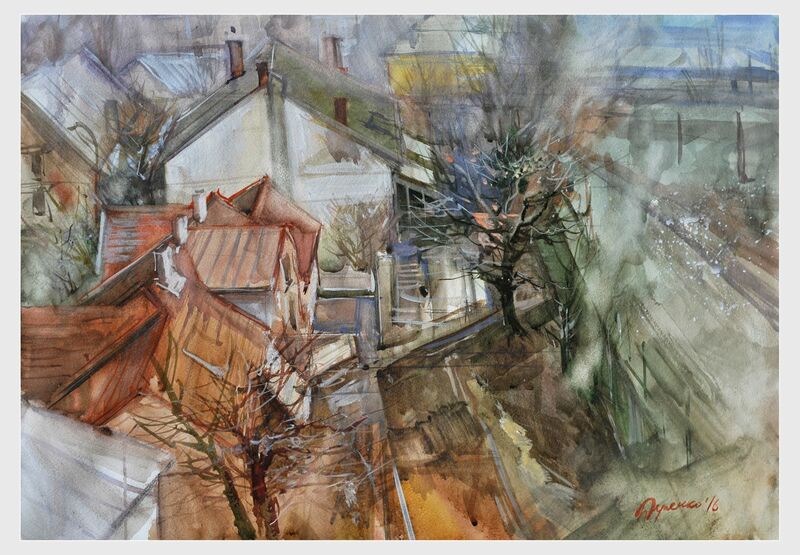 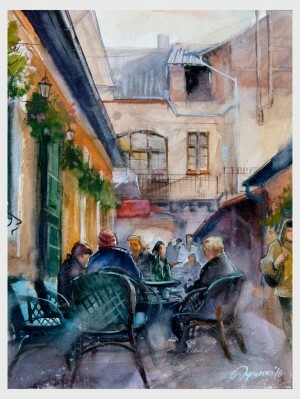 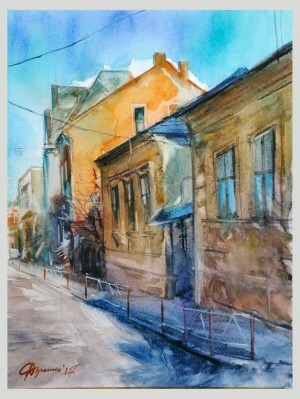 As, I would like people to perceive the art of watercolour as high one,” - V. Skakandii specified. 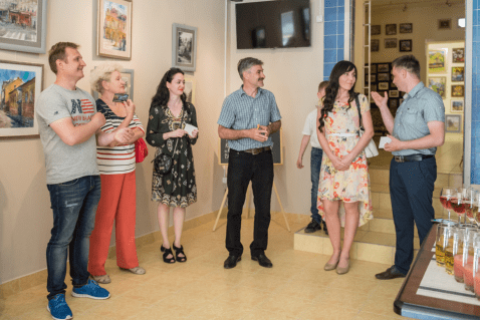 The exhibition will last until June 1, 2017.